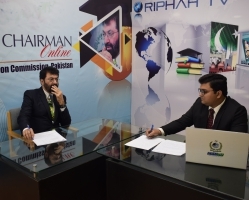 Riphah Institute of Media Sciences (RIMS) was founded on the conception of learning to implement. RIMS believe in top quality education in the areas of Production, Direction and Journalism. 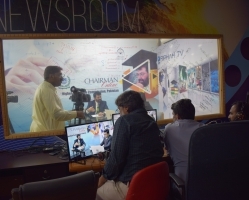 We encourage our students to work ambitiously to produce quality work in the field of media. RIMS is offering various programs at undergraduate and graduate levels including BS(Hons) in Media Studies, BS Mass Communication, MA Media Production, MA Broadcast Journalism, MS Media Studies. 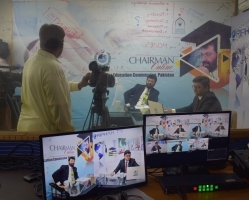 The institute is also offering diploma and capacity building programs like PGD TV Production and other customized professional development programs including Media Summer School. The curriculum is designed to assist the students’ to understand and to develop analytical skills in their major field of choices. 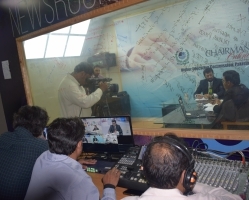 Media plays a pivotal role in social, economic and political development of a country. In Pakistan, media industry grew enormously during the last decade, after the establishment of PEMRA. 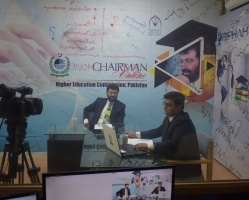 Not only the commercial mainstream media revolutionized during this period, but PEMRA also issued numerous licenses to universities to establish campus radio stations, which is a significant academic tool to pursue excellence in education.